Peanut Butter Fudge Day? That sounds like an excuse for a taste test…. Alton Brown posted a very simple peanut butter fudge recipe in honor of “National Peanut Butter Fudge Day” (Nov 20), so we wanted to test how different types of peanut butter worked in the recipe. PB2 is a neat powdered-peanut butter product, and we just happened to have some. It can be mixed with water to create a lower calorie peanut butter, or used in a variety of applications where peanut flavor is desired but fat isn’t (e.g. brewing). 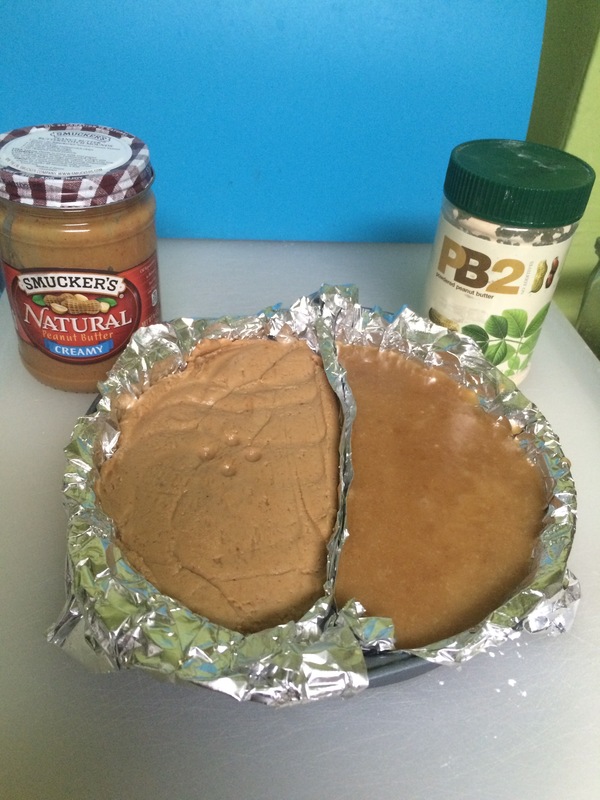 In any event, the recipe was split in half, with one batch made with 150 g of Smucker’s Natural Creamy Peanut Butter, and the other with 48 g PB2 Powdered Peanut Butter + 12 tsp water. 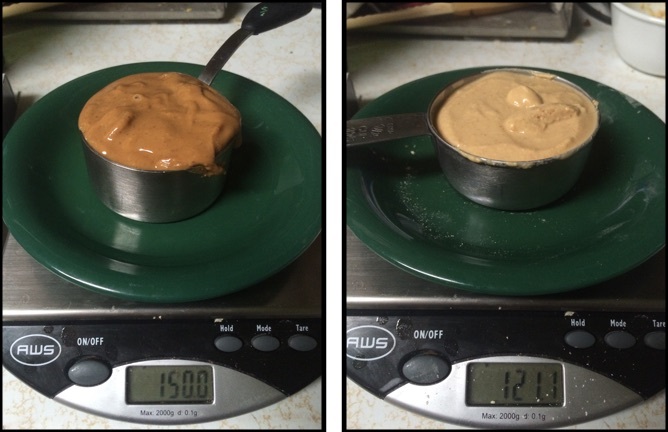 The consistency of the two Peanut Butters, after the PB2 was reconstituted, was not terribly different. It was hoped that adding the powdered sugar would rectify the textural issues, but the result was much thinner than the batch made with the Natural Peanut Butter and a pourable peanutty fluid was produced rather than a fudge-y paste. Even after cooling, it was not really a cuttable thing. It was initially thought that the butter in the recipe would make the PB2 version work out, but apparently that was not the case. 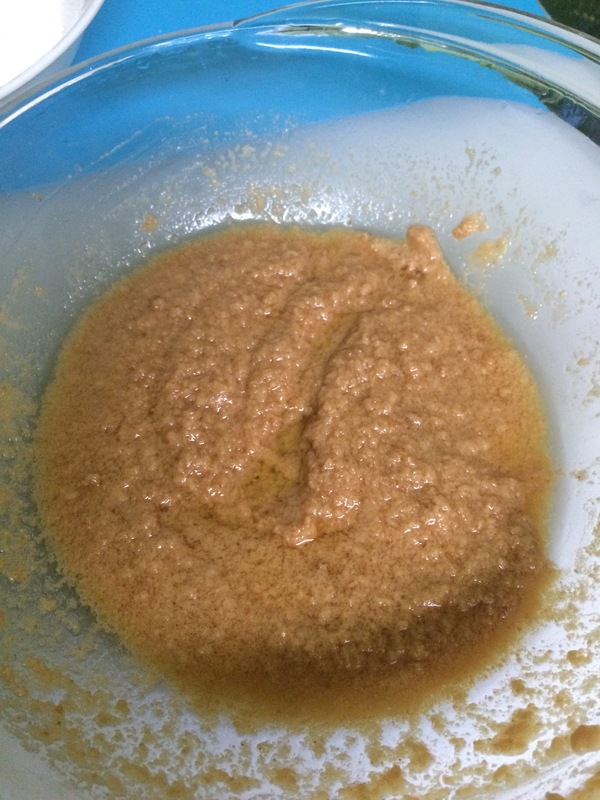 It is suspected that the water used the make the PB2 paste may have led to dissolution of the sugar, leading to a soupier final product. Reconstituting with oil was briefly considered for this taste test, but due to concerns about flavors coming from the oil and not the peanut butter product resulted in the use of water instead. Adult taste tester S actually preferred the flavor of the PB2 variety, even though it failed texturally as a fudge, while taste testers A and T were unsure about the PB2 version. The recipe as made with the Natural Peanut Butter was approved by all children involved, so PB Fudge day was successfully celebrated. can a PB2 fudge be made if the powder is reconstituted with a fat instead of water, or could the recipe be made with no initial reconstitution of the PB2?